Nothing is more family-oriented than a meal. Food brings your family together around a table to enjoy a good meal. That's why it's good to have a dining table that you can use for your family meals. 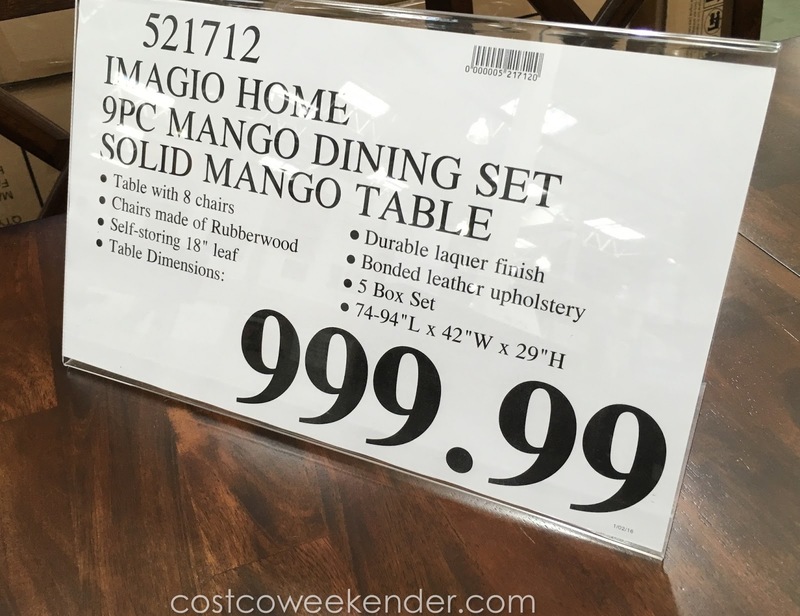 The Imagio Home 9 piece Solid Mango Wood Dining Set will allow you and your family to come and get together. Whether it's to enjoy a meal, do homework, or play board games, you need a dining room table for your home. The Imagio Home 9 piece Solid Wood Dining Set features a solid wood table with eight chairs. That's enough space for you, your family, and a few more people whether they're extended family or friends. 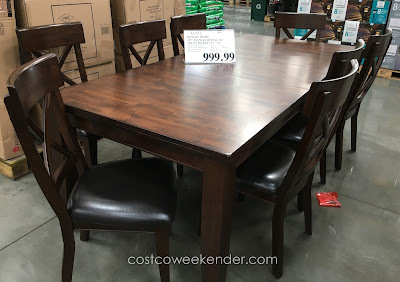 You won't regret getting the Imagio Home 9 piece Solid Wood Dining Set when you end up spending more time with family around this table. Imagio Home 9 piece Solid Wood Dining Set: table with 8 chairs with durable laquer finish. 5 box set. Saw this table on Sunday and loved it. Went back on Saturday with a truck to pick one up and they have been pulled from the shevlves nationally. Bummer, we loved that table. The manager said they had to be sent back to the Manufacturer for quality issues. 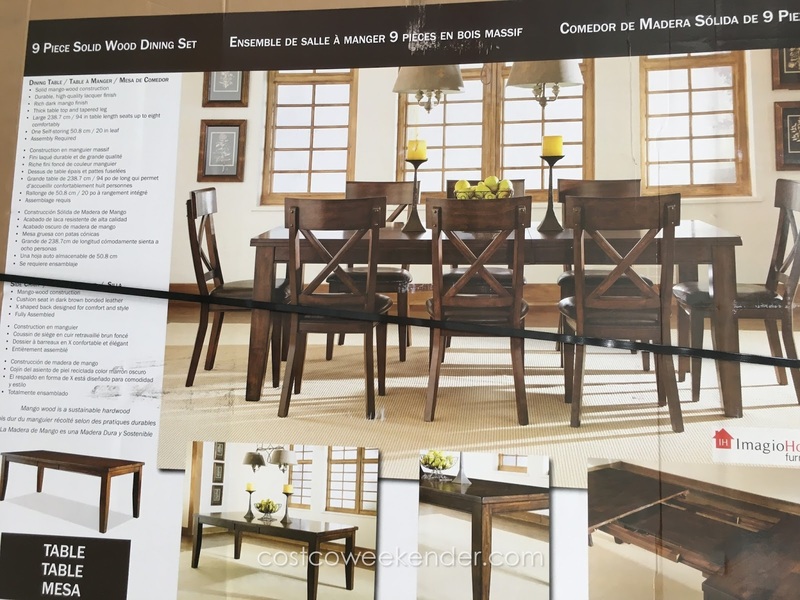 Hello @Anonymous, thanks for letting us know that the Imagio Home 9 piece Solid Wood Dining Set was pulled from the shelves due to quality issues. Hopefully, Costco will get it back soon enough with the issue already rectified by the manufacturer.